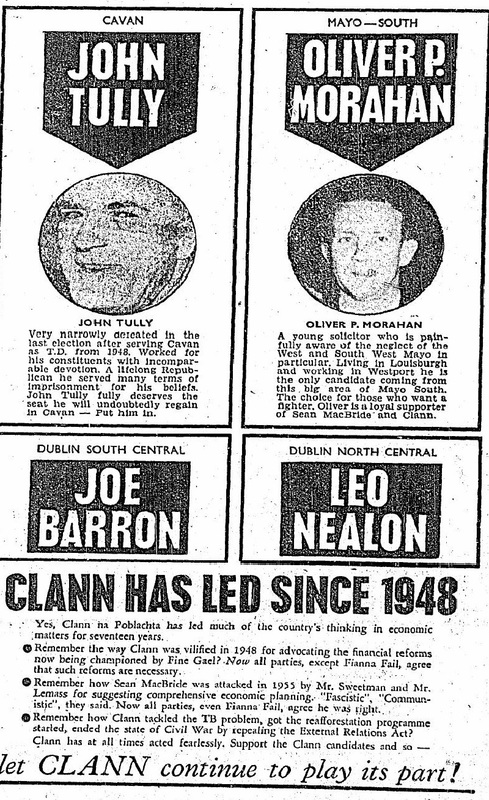 From the 1965 General Election an ad for the four Clanna Na Poblachta candidates John Tully in Cavan, Oliver Morahan in Mayo Sout, Leo Nealon in Dublin North Central and Joe Barron in Dublin South Central. Tully was elected and was the last Clann TD. This 1965 General Election was the last one contested by the Party.